LASD honored Justin Von Konsky and Robert Carlson with appreciation awards for their volunteer work with at-risk teens. 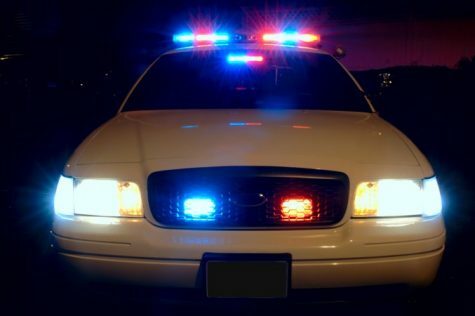 Two Biola cinema and media arts majors, senior Justin Von Konsky and freshman Robert Carlson, have received appreciation awards from the Los Angeles County Sheriff’s Leadership Academy on March 21 for volunteering their time and sharing their film knowledge with at-risk high schoolers in Lynwood. Michael Gonzales, a CMA professor, recruited the two at the beginning of the school year in order to help work with students from socioeconomically poor backgrounds. “We teach these kids leadership and team-building skills through filmmaking,” Gonzales said. Gonzales began volunteering four years ago and shares his film knowledge and skills with the Lynwood kids. For the past two years, he has recruited Biola film majors to accompany him and help teach. “A lot of the students are stuck in rough situations, but this program shows them they still have potential,” said Carlson. Although only Carlson and Von Konsky have volunteered this year, he hopes to recruit more students and encourage them to reach out to the Los Angeles community, Gonzales said. “It is all volunteer work and gives us a way for the Biola footprint to extend beyond Biola’s borders,” Gonzales continued. Out of a class that has grown to about 30 students in the past four years, seven to ten are currently enrolled within this program, said Von Konsky. All within the ages of 16 to 18 and always ready to create or edit their films. Not only do these students have the opportunity for learning hands-on in class, they also go out on field trips with the volunteers. They have had the opportunity to visit the Museum of Tolerance and talk with a Holocaust survivor, as well as sit in the news anchors’ desks during a tour of CBS Studios. “The kids find joy in creating things and we are able to share in that joy with them,” said Carlson. “It’s been really cool seeing them every week excited about creating things in the same way that I am,” said Carlson. Carlson and Von Konsky both received appreciation certificates for returning every Thursday morning from 10:30 to 12, about 45 hours total, to spend time with the kids for each class session, Gonzales said. “It has been awesome seeing their faces light up every week and they are always eager to learn about the different forms of filmmaking,” Von Konsky said. Lieutenant Robert Esson of the Los Angeles County Sheriff’s Department, who works alongside these at-risk high schoolers, witnessed growth within the relationships of both the Lynwood and Biola students. His daughter, Addison Esson majoring in Cinema and Media Arts, attends Biola as well. 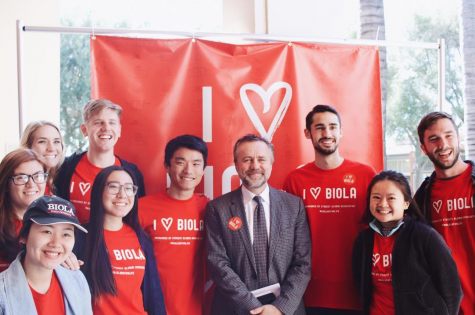 “The Biola students provide the opportunity for these kids to develop as students and members of the community,” Esson said. The Sheriff’s Academy has distributed these awards to the boys in appreciation of their dedication to not only improving the students’ film knowledge, but of their capability of thriving after high school, according to Esson.